I tried adding but not luck Gone to Unity Site add all the info But cannot get the preview Ad ?? the current Playmaker action has less option than the video ? download my action from asset store nothing shows up in Ecosystem for "Unity Ads" or "Ads" ?? what is the latest version ? 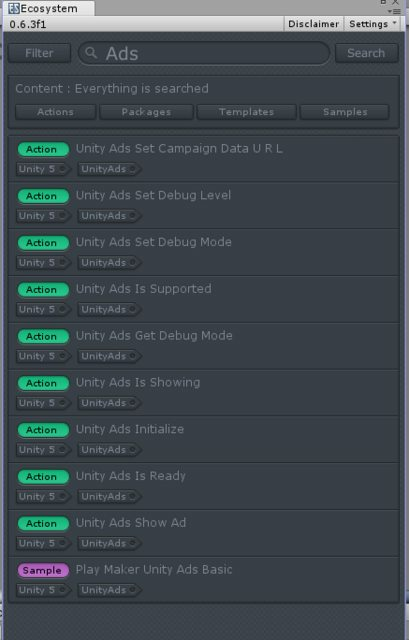 Re: Unity Ads Not working What is the latest Version of this action ?